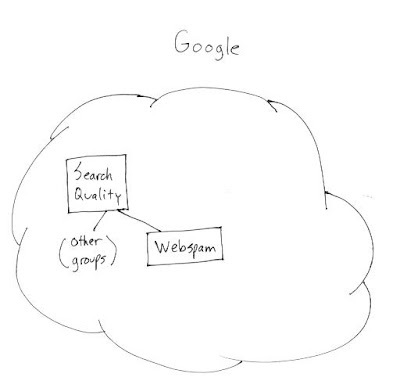 Matt Cutts, Google’s Software Engineer and head of Web Spam is looking for some opinions/feedbacks on what you are looking for Google webspam team to fight in 2009. Matt usually does this annually on his blog. So if you have something to suggest regarding the spam just click the link and post your comments in matt's blog. You created a Sitemap and submitted it to the search engines. Did you ever started thinking if this really helps the site out and what’s the effect when you submit a Sitemap on the site. 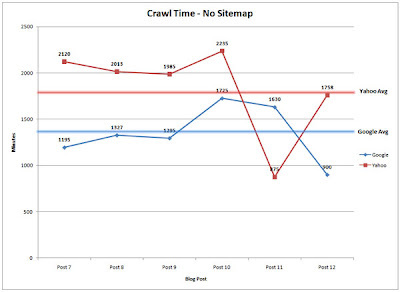 Why we need to use sitemaps, Using sitemaps on your websites really going to affect on the Rankings of your website. Many of us are unaware what are the Advantages of using the Sitemaps on our websites. I was going through this Excellent post written by chenry where he discussed some interesting points pertaining to Sitemaps with good display of stats. To find out the uses of Sitemap chenry he wrote a PHP script and installed in on his client website to track every time a bot accessed the Sitemap, every time the Sitemap was submitted, and every page it crawled on the website. The script was designed to store this information in a MySQL database along with a timestamp, IP address, and the user agent. He also modified the Sitemap generator to insert a timestamp every time the sitemap was submitted to the search engines. The Primary aim of his experiment was to find out if submitting a Sitemap to Google and Yahoo would show any effect on the time it took Google to crawl and index the page. To his surprise the results were quite amazing!!. When a Sitemap was submitted the average time it took for the bot to visit the new post was 14 minutes for Google and 245 minutes for Yahoo. 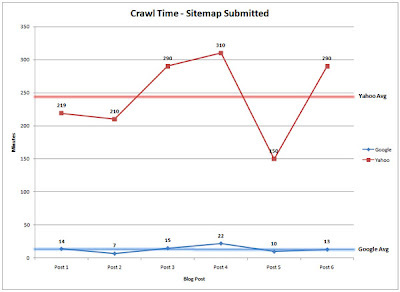 When no Sitemap was submitted and the bot had to crawl to the post, it took 1375 minutes for Google and 1773 for Yahoo. The averages were calculated on 12 different posts, 6 with Sitemaps being submitted, and 6 with the Sitemaps not being submitted. Industry concerns about Steve Jobs' health have not gone away after the Apple CEO appeared dramatically thinner at the firm's annual developers' conference, fighting what insiders at the time were calling a "bug". Apple Inc. founder and CEO said Monday, that a hormonal imbalance is to blamed for the weight loss that has prompted worries about his health. 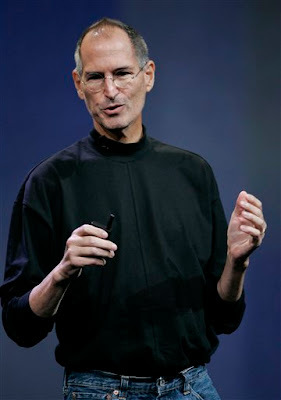 Jobs said he will be undergoing a small treatment and will remain in charge of Apple. Investors seemed to be happy to have some clarity on his health and Apple's shares rose to $94.17 in Monday morning trading. So today "Hormone Imbalance" will likely be a very popular Google search term :). Here is a the complete letter which Steve wrote to the Apple Community. China which has the world's largest population of Web users with more than 250 million targets top online portals and major search engines such as Google by launching a major crack down today. Though the government's Internet police Department struggle to block Web sites based out of China internal websites were blocked. The government announcement said that Google and Baidu, which are China's most popularly used search engines, had failed to take "efficient" measures after receiving notices from the country's Internet watchdog that they were providing links to pornographic material. It also stated that popular Web portals Sina and Sohu, as well as a number of video sharing sites and online bulletin boards, that it said contain problematic photos, blogs and postings. A statement, which was posted on the news and information Web site managed by the State Council, said that violators will be severely punished, but did not give details or say how long the campaign will last. A Google spokeswoman in China, Cui Jin, defended the site's operations, saying it is a search engine and does not generate any pornographic content. The company obeys Chinese law, she said. The central government has earlier blocked access to many Web sites it considers subversive or too political, which includes The New York Times' Web site on Dec. 19. But it was finally unblocked a couple of days later and remained open on Monday. Twitter is one of the most popular micro blogging platform for online promotion of your business. A key discussion point for businesses has been that While creating a social networking account for a small business, is it a better idea to have the user name be the business name or the person who will be posting?. Let us look into a small example. Dell a popular brand has an entire page for its Twitter accounts. Here the company uses its brand name along with some carefully managed staff accounts for its promotion. Politicians are also no exception in this case, with @BarackObama using Twitter Service to connect himself with his voters in the recent Presidential elections. So Before creating an account you need to recognize yourself that there is no specific rule. It depends on the service. For blogs, multiple users accounts can be set up. Social Media is used to create Awareness and Popularity for your Brands. 1) What exactly you are looking for on Twitter? Looking for new customers? Finding new ones? 2) Is your business suited to blogging/microblogging? Twitter may not be suited for every small business but the important thing to look out for is try to make yourself interesting by placing yourself in the place of your customer and think about what exactly they want to talk to you about. Marissa Mayer To Leave Google? 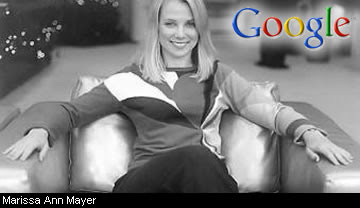 Gawker reports that Marissa Mayer Google’s 19th employee, the glamor nerd will be saying goodbye to the company in 2009. She just got engaged to Zack Bogue, a property manager and lawyer. Mayer, who now works as vice president of search products and user experience, joined Google from Stanford's computer science department in 1999 as one of the company's first female engineer. Mayer has been been awarded with the Centennial Teaching Award and the Forsythe Award. She also works as a part-time introductory computer programming teacher at Stanford. Gawker reports that "Top Googlers, overheard at a holiday party, chattered about Marissa's departure as a matter of if, not when". Google which has lost many of its major executives in the past, if now loses Marissa, will this be going to be a biggest loss to it?. Well these all seems to be just rumor's for now as Google has not commented on the Gawker story yet. Last week there were reports/rumors that Microsoft is laying off some of its staff. But now there are more reports coming up which indicates that recession is going to hit one of the most successful technology companies of all time. Microsoft, The Software giant is getting ready to lay off 17% of their workforce by January 15th, 2009. Its unlikely that Microsoft which has a strong work force of 90,000 employees across the world will be laying off a lot of people in different departments and regions that are doing considerably well. Rumors indicate that most of the layoffs will be seen in the MSN and Microsoft EMEA divisions while leaving most of the people working in the Xbox 360 departments to be pretty safe. Scholars, advertisers and political activists see massive online social networks as a representation of social interactions that can be used to study the propagation of ideas, social bond dynamics and viral marketing, among others. But the linked structures of social networks do not reveal actual interactions among people. Scarcity of attention and the daily rythms of life and work makes people default to interacting with those few that matter and that reciprocate their attention. A study of social interactions within Twitter reveals that the driver of usage is a sparse and hidden network of connections underlying the “declared” set of friends and followers.